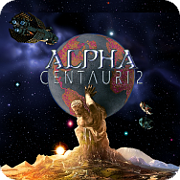 Welcome to Data Angels thread of AC2DG (Alpha Centauri 2 Democracy Game). Take a note of Rules in this post. Rules are short. If you are reading this thread, you are a Data Angel! Our starting position. I will play 2101 to set up the game, so there is no attached save. Post any comments based on the screenie. The starting tile is river, and there are nutrients in vicinity, so good place to settle in place. The terrain around is flat to extent of several tiles. No clue based on terrain shape where to move the second colony pod. What about probe team? South or North? Data DeCentral established in 2101. Decided to check north, if using river the colony pod can travel 2 tiles in 2101, but fungus blocks the way. Colony pod goes south then. Research priority set to Explore. The same, Centauri Ecology is first. HQ base builds scout, ready next turn. - Unless someone proposes direction of colony pod (looking from our direction, left(SW) or right(SE)) I will choose it random. We have explore research and in 6 years there will an explore tech. - Probe team continue to scout: SW, W.
And attached is mid turn. Probe team scouted western shore. Colony pod with scout has several possible choices. Exclude going straight west, if earlier selected "right" option, this would mean waste of a turn, not necessarily needed. - SW - and establish a base on that rolling moist tile. - SE - enter rocky tile to see what is beyond, a good spot for a base? scout could do it first too. - establish a base on the spot. It is altogether fitting that we who have sailed the deeps of space now return again to the sea. This is in many ways a water planet, and it can be ruled from the waves. With sea power, rugged terrain can be bypassed and enemy strongholds isolated. Once naval superiority is achieved, Planet is ours for the taking.